We hope you are enjoying your Memorial Day weekend. Whether you are traveling, relaxing, or working, we hope you get a chance to pause and remember our country's veterans. Heads up! There will be a brief window of downtime tonight starting at 11PM PST and lasting about 2 hours. Thanks for your patience. 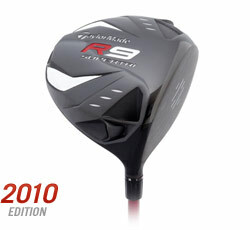 Gear up for the Virtual Majors with our longest-hitting driver yet! The new TaylorMade SuperTri driver is now in the Pro Shop. This powerful Master-tier driver is the longest hitting driver in the game, perfect for hitting from the Championship tees in the Virtual Major Qualifier and Championship rounds that begin June 1st on St Andrews and Oakmont. Also in the Pro Shop, the perfect balls to complement the fast meter on this powerful driver, the GI3-S and GI3-D balls, which offer an even slower swing meter than the GI-2 balls. These balls come in two varieties: GI3-S which offers extra spin and the GI3-D which offers extra distance. Here are the highlights from today's product release. While we make an effort to include all updates made to the product, please note that occasionally some changes are unintentionally omitted. Experience Pebble Beach Like Never Before, in Stunning HD! Have you ever wondered if you can beat a pro on Pebble Beach? Watch videos of historical shots from previous U.S. Open’s at Pebble Beach, then try to hit that very same shot, and see if you can beat the Pros! Test your skill against Tiger Woods, Jack Nicklaus, Tom Watson, Ernie Els, and more! 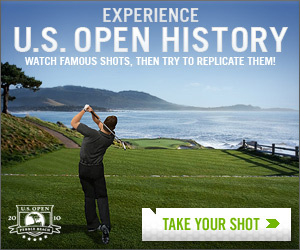 Just go to to USOpen.com and click on the button below to experience US Open History. Now in the Pro Shop, the perfect balls to complement any club in your bag, the GI3-S and GI3-D balls, which offer an even slower swing meter than the GI-2 balls. These balls come in two varieties: GI3-S which offers extra spin and the GI3-D which offers extra distance. Earn WGT credits by completing a variety of offers through TrialPay from top-end brands such as Golf Digest, Sports Illustrated, Mens Health, Golfsmith, and Nordstrom’s. You can find all these, and more, here. The St Andrews Triumph award for the best 18 hole score on St Andrews stroke play is now being awarded correctly. There is now a preference to turn the WGT Lessons tab on and off. New Club Tips and Swing Tips appear in the club and swing popup. In the club selection pop-up, the header “club selection” is now a button that opens the in-game equip interface. Remember that equipment changes cannot be saved while a game is in progress. There is a new credits display in the upper left hand corner near your username. All saved replays on Hole 17 at St Andrews have been erased to accommodate the new tee boxes for the Virtual Open Championship. Our apologies. Maintaining your posture is known as an important fundamental to a good golf swing. I completely agree with that statement with one exception. It is only important to maintain your posture if you have a “one plane” swing. A one plane swing has your left arm on the same plane as your shoulders at the top of your backswing. This is more commonly known as a flat or more rounded golf swing. You can almost think of this as a baseball swing that needs to be bent over in order to hit the ground. If you have a “two plane” swing or more upright golf swing, please do not maintain your posture! Your left arm is in a higher position at the top of your backswing which already gives you an angle to hit the ground. Bending over during the downswing will lead to deep divots. You should also stand more upright at address if you have a two plane swing. When you watch a video, read an instruction book or receive a tip, make sure it will help you with your impact or ball flight or it is not for you. There are many fundamentals out there that apply to different types of golf swings. It is up to your PGA professional to clear up the confusion and guide you on the correct path. Next time you take a lesson, tell your instructor about your impact and ball flight. Armed with this information, your teacher can help you understand the fundamentals that apply to you. borntobesting's first career HIO on the 167yd Par 3 17th @ Bethpage. simovoice drains one from way downtown for a 1-putt Eagle on the 10th at St. Andrews. AvatarLee tames the monster that is the 9th challenge at Oakmont with this deft ace. And finally, from the Weird & Wacky department, check out this drive on St. Andrews #1 by Mike_In_Cobb. And you'll receive 6 virtual GI-S balls that offer an increase in spin and the benefit of a slower swing meter. This offer expires Thursday 5/20 at 11:59PM PST. The virtual balls should appear in your account no later than 5/22 at 11:59PM PST. WGT credits are used to upgrade your equipment in the Pro Shop, enter premium tournaments, or challenge other players in match play games. You can use credits to gear up for the Virtual Majors by equipping yourself with clubs and balls that will improve your game. To purchase credits, click on the ACCOUNT button under your username on the upper left hand side of the screen, then click on the Buy Credits tab. Golf is more fun with friends. Invite your friends to join WGT by gifting them a WGT driver. Earn a free sleeve of premium balls if they register, and 200 credits if they spend $10! Gifting never felt so good. 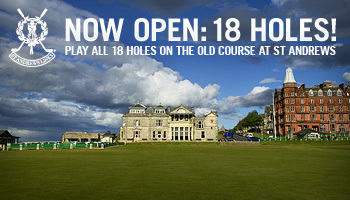 All 18 holes of the Old Course at St Andrews Links are now available for stroke play rounds. Tackle this historic course from tee to green in practice, ranked, multiplayer, and match play rounds. The Championship tees of this course will also be featured in the 2010 Virtual Open Qualifying and Championship Tournaments, which begin June 1, so start practicing and honing your skills now! And can you master these new St Andrews awards? Downtime Tonight -- Back 9 Tomorrow! Heads up! There will be a brief window of downtime tonight starting at 11PM PST and lasting about 30 minutes. When we're back up, the Back 9 of St Andrews will be available for stroke play. Remember to clear you cache after the update, and enjoy!